... at Jackalope, a humble watering hole with retro video games, six-packs in coolers and an enormous jackalope bust. It’s soft-open on Polk now—here’s the slideshow and the menu. Come here with friends when you’ve got a wide-open afternoon to be filled only with the leisurely pursuit of mowing down 8-bit ducks (and not the dog). 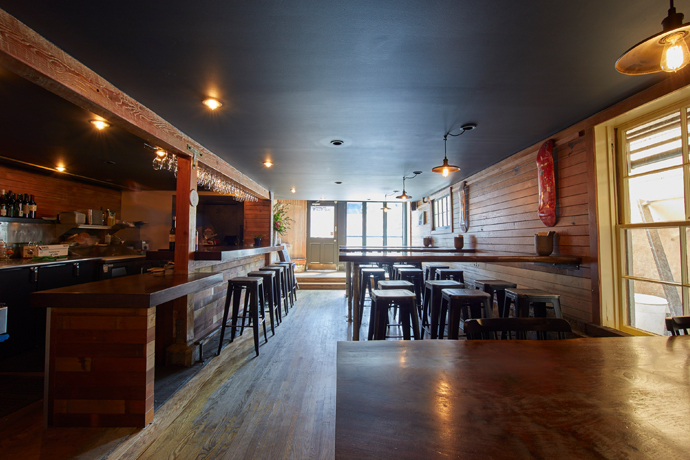 You’ll order a cooler of six-packs and bring it upstairs—that’s where the games will be set up, right next to the black banquettes overlooking the bar and the towering eight-foot jackalope bust above. Can’t miss it. On the off chance you didn’t come for Nintendo, grab a table on the main floor near the bar and the Plinko. Oh, you came for the Plinko.